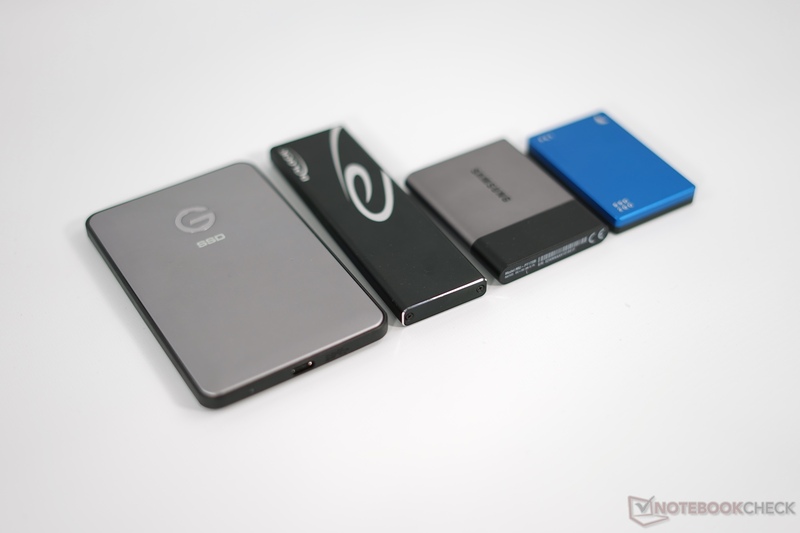 We review modern USB-C SSDs from Samsung (T3), WD (G|Drive), Angelbird (SSD2go PKT), SanDisk (Extreme 900) and a USB 3.1 USB-C case for M.2-SSDs from DeLock. Which drive is the fastest and how much power do they consume? We will answer these questions in the following article. 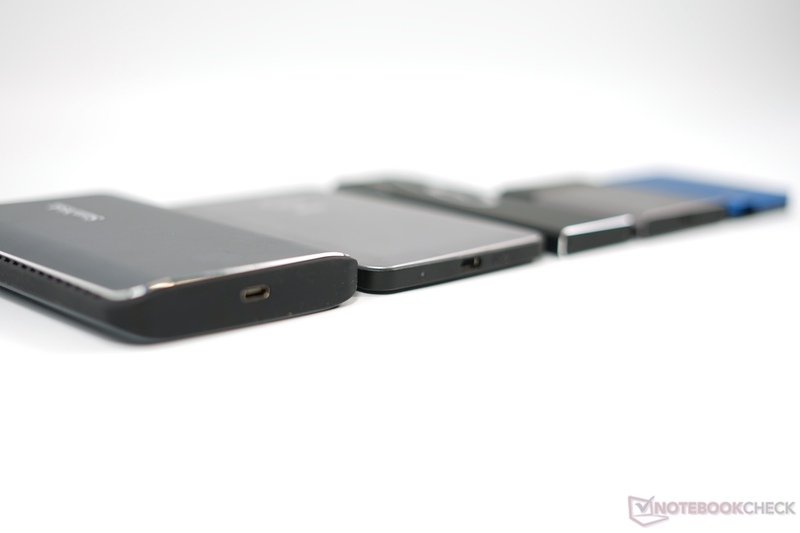 The review group is pretty mixed and the only common denominator is the USB-C interface. 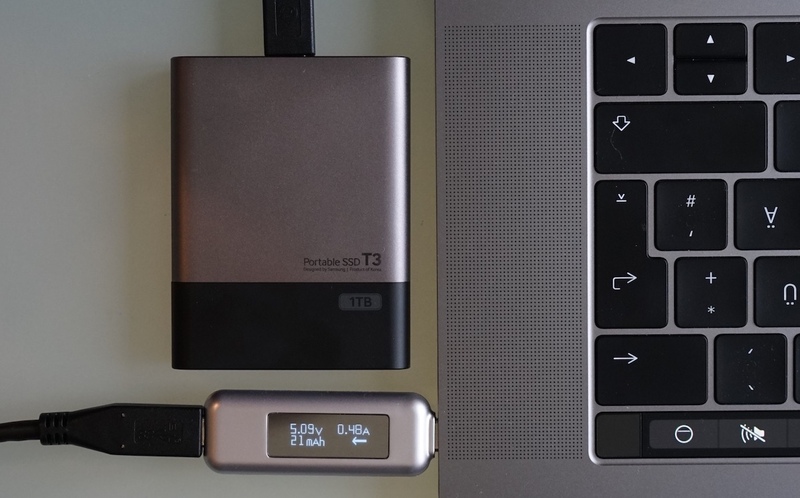 The external solutions are particularly interesting as additional storage for MacBook Pro users with USB-C ports, where inexpensive storage is rare. 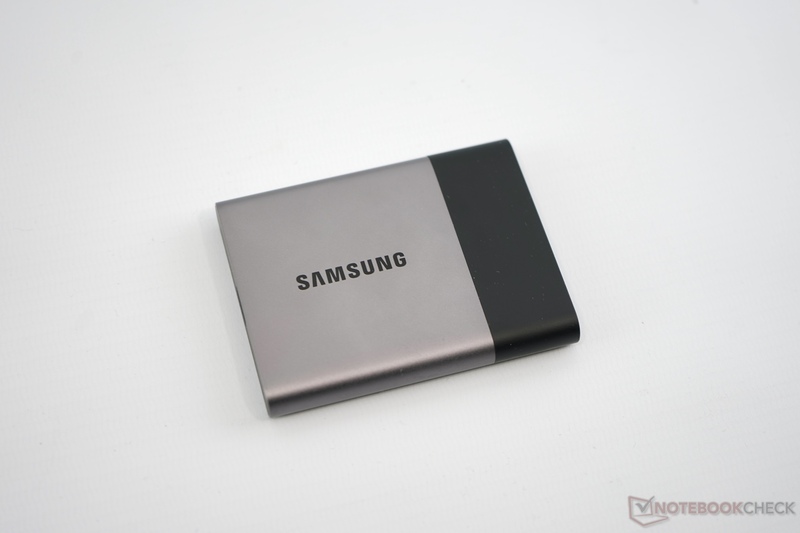 The most popular test model is the Samsung SSD T3. It only supports USB 3.1 Gen.1, but is small and inexpensive in return. 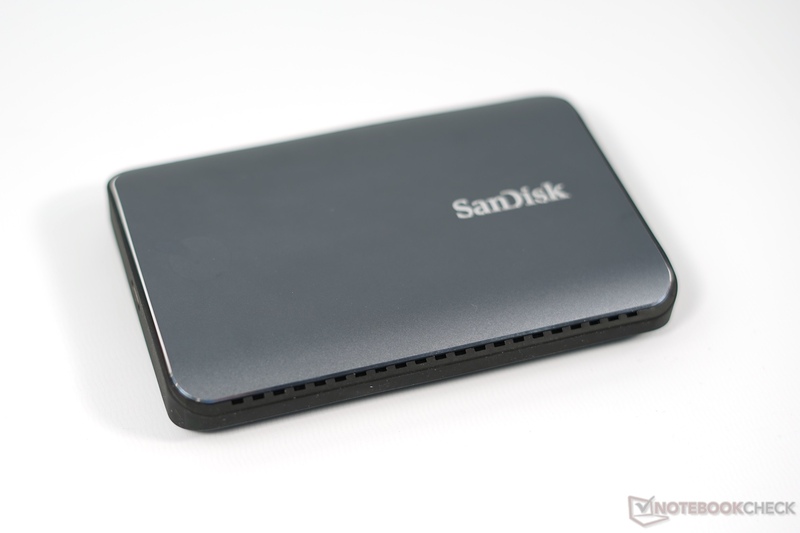 SanDisk's Extreme 900 combines two SSDs via RAID 0 and wants to be the fastest drive. 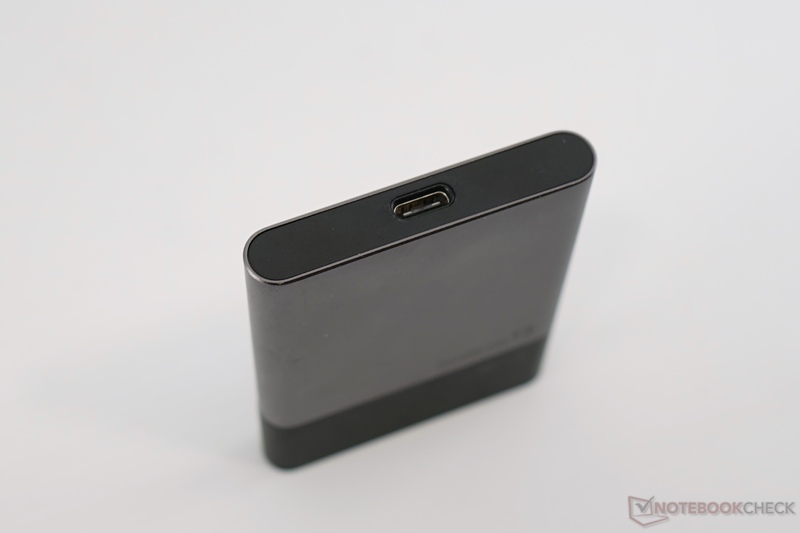 The WD G|Drive Slim SSD also uses USB 3.1 Gen.2 and is available directly from the Apple Store. 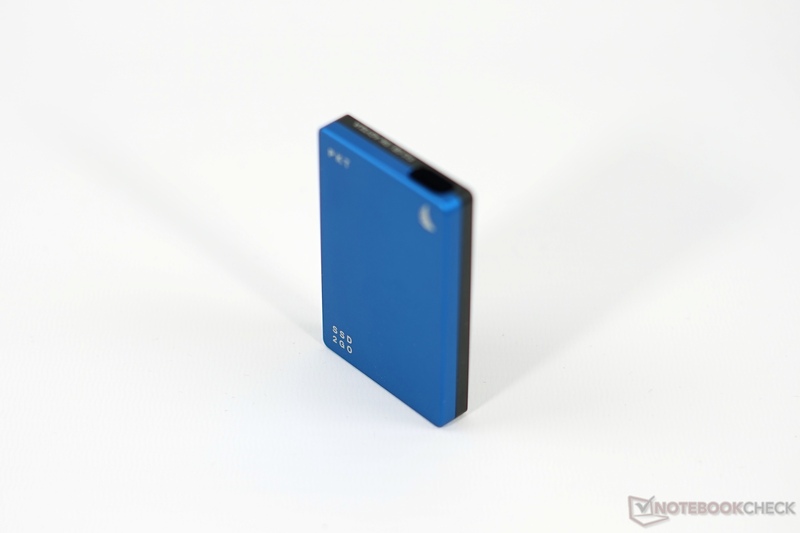 The Angelbird SSD2go PKT is an external SSD designed for professional users. It supports TRIM and the specs are specifically tuned for video editing (e.g. short latencies and steady performance), so it is not particularly interesting for private users. Finally, we also chose an external adapter from DeLock. 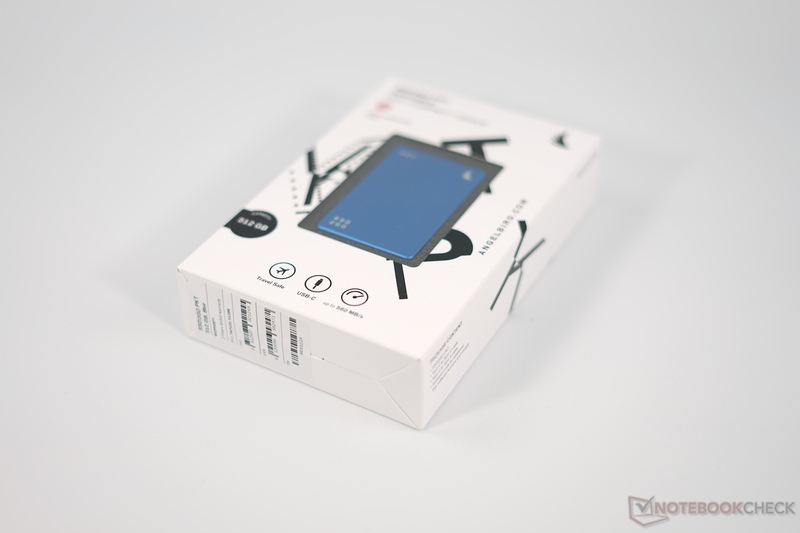 It is an interesting alternative if you already have an old M.2 SATA SSD. 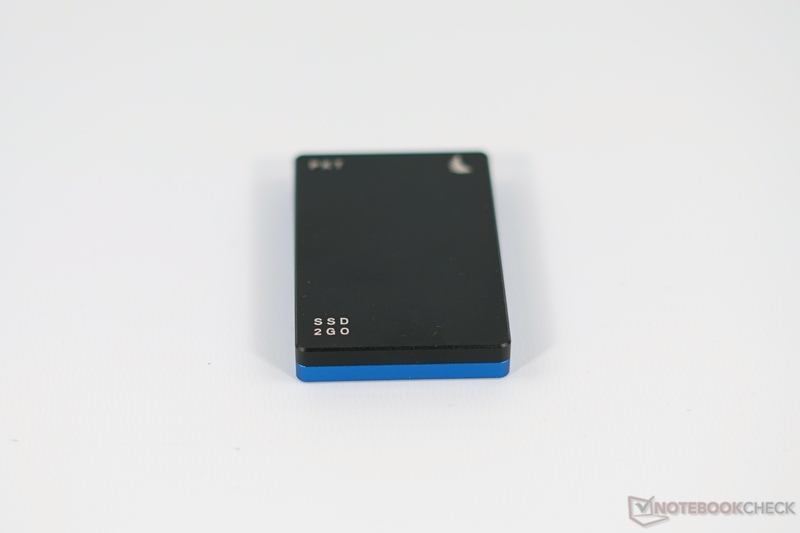 The test models clearly differ in terms of design, and we prefer the small Angelbird SSD2go PKT. The two-color aluminum case is sophisticated and looks nice. It is also available in six different colors. The drop-down USB-C connector is a clever idea, but it also means you can only use the provided cable. Samsung's T3 is a bit thinner, but larger in return. It is therefore just as portable and uses a two-color case. The plastic part and the model designation at the bottom affect the high quality impression a bit. The next model in the size comparison is the adapter from DeLock. It is just as long as the WD G|Drive Slim, but much slimmer. It is completely made of metal, appears sophisticated, but the lettering already came off after the short review period. 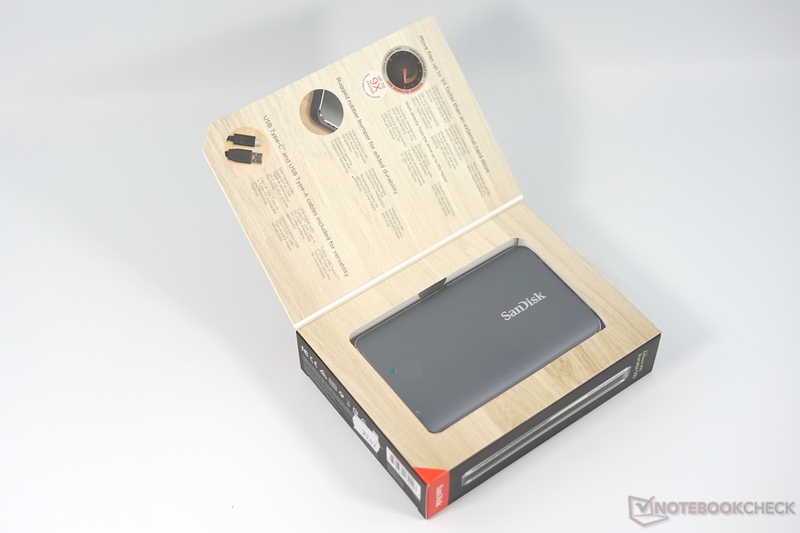 Both the G Drive and the SanDisk 900 series remind us of a 2.5-inch drive. Both feature metal cases with plastic (G|Drive) or rubber (Extreme 900) at the sides, respectively. 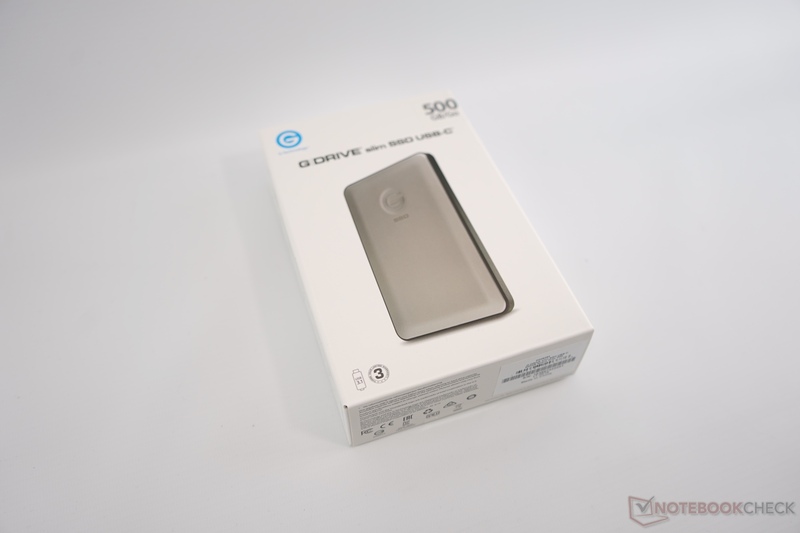 The G|Drive is much slimmer, whereas the Extreme 900 leaves a more durable impression. SanDisk also advertises the temperature and shock resistance of the drive. The benchmarks show a mixed picture. 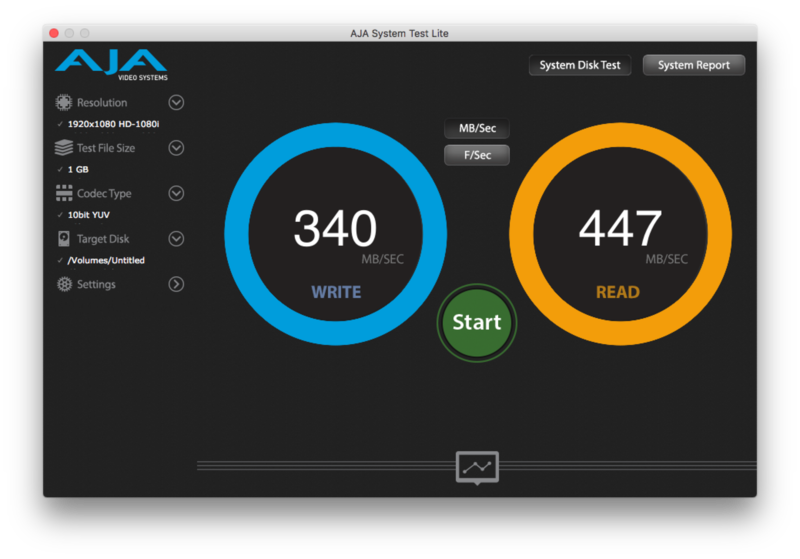 PCMark 8 Storage tests the SSD with traces of the Adobe Creative Suite, Microsoft Office, and some games. It is supposed to represent daily workloads for a system drive. The professional Angelbird SSD2go PKT is slightly behind the PCIe SSD in the MacBook Pro (Bootcamp). Samsung's SSD T3 is basically on par, while the DeLock case with a 128 GB Toshiba SSD (-5%) and the WD G|Drive (-6%) are a bit slower. We also tested the SSDs with a Ryzen 1700X octa-core processor in combination with the Aorus AX370 Gaming 5 mainboard for the comparison. It uses the popular ASMedia chip as 3.1 solution. The values are slightly lower compared to the MacBook Pro 15 with Thunderbolt 3 (except for the Toshiba SSD, but it is filled by the operating system and therefore takes an outsider role). 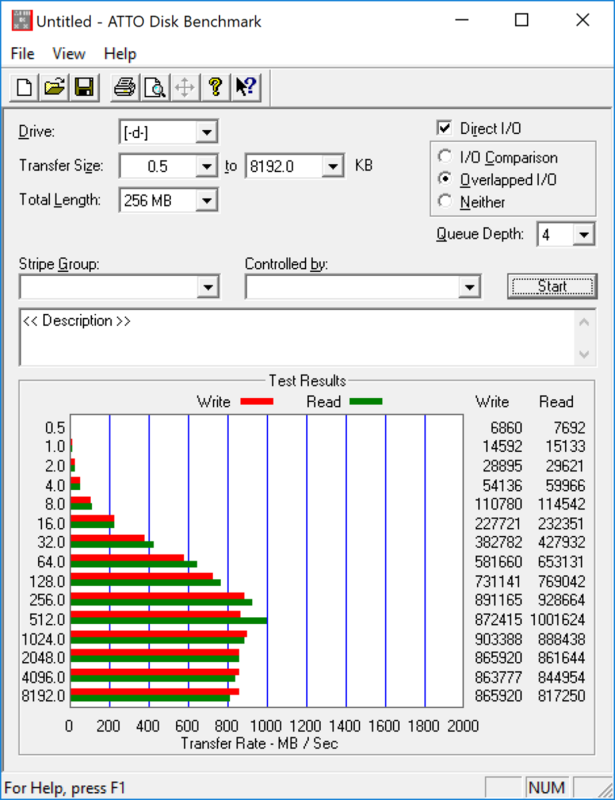 The synthetic benchmarks CrystalDiskMark and AS SSD leave a mixed impression. 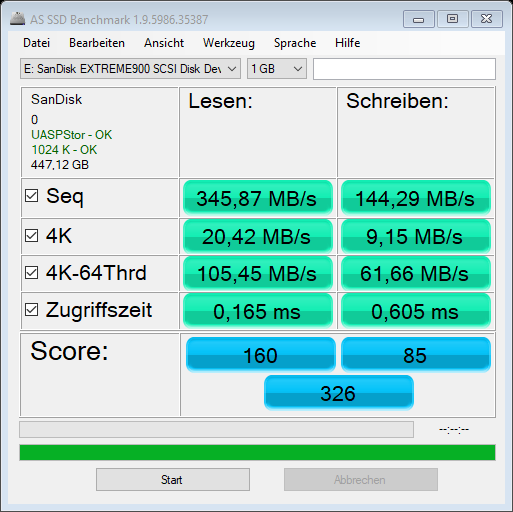 The SanDisk Extreme 900 is clearly ahead in the AS SSD benchmark (Total Score), but it reveals some weaknesses in the CrystalDiskMark 3.0 4K write test, where the drive falls behind. The sequential read and write results on the other hand are excellent. 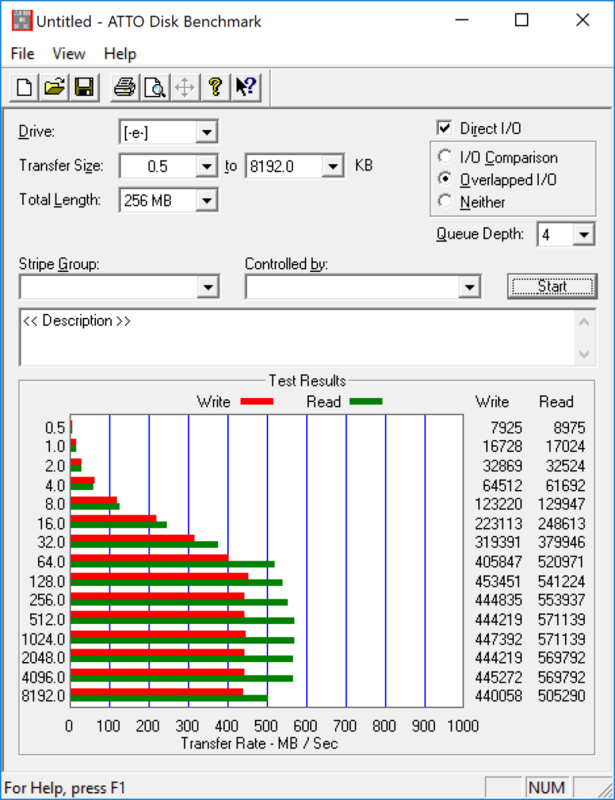 We use the AS SSD copy test to check the main application area of consumer SSDs. We can see heavily fluctuating results influenced by the caches in particular. The first place is secured by the SanDisk Extreme 900 thanks to the two SSDs in a RAID configuration. 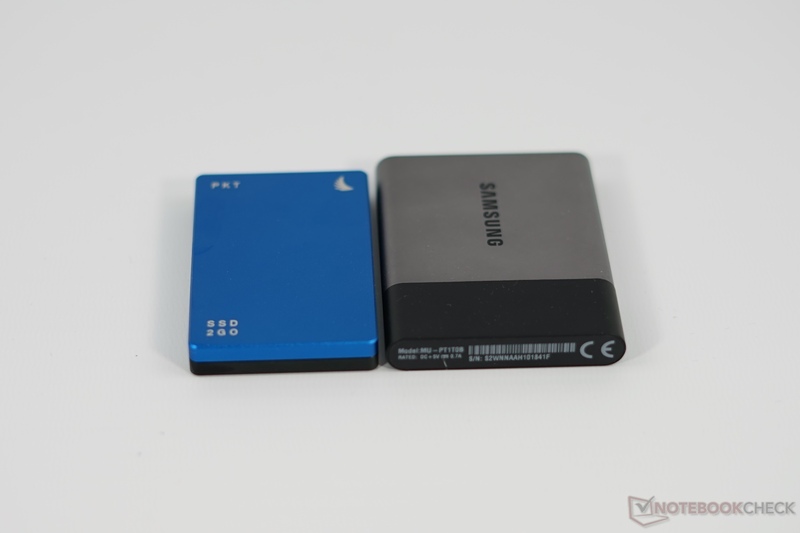 The drives Samsung T3, G|Drive Slim, and Angelbird SSD2go PKT follow from some distance. The internal SSD in the MacBook Pro did not work in two out of three tests, however, it clearly beats even the Extreme 900 in the ISO copy test. 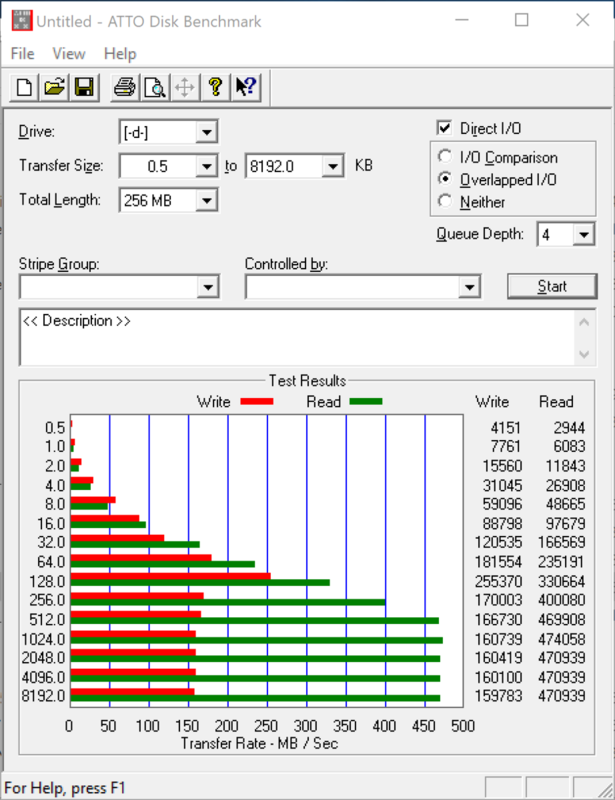 This shows what fast internal NVMe-SSDs are capable of. 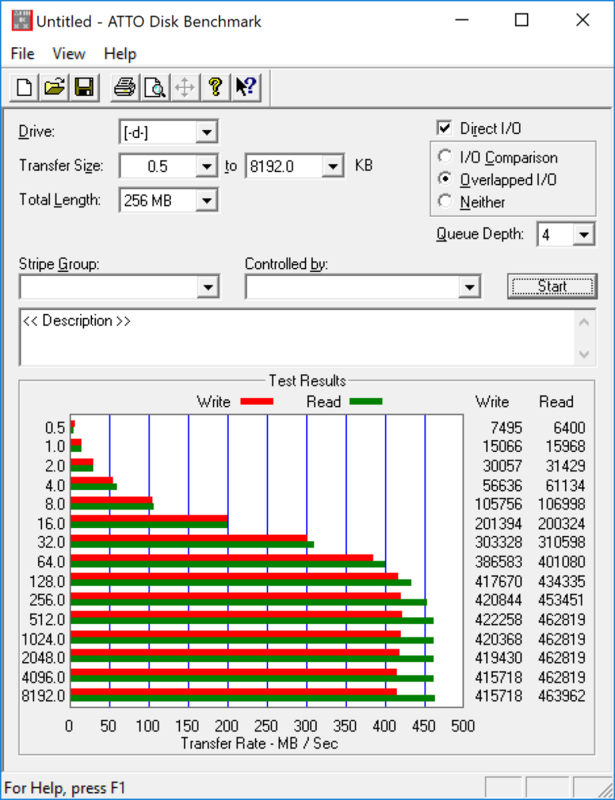 We cannot see any compression-dependent data in the AS SSD compression benchmark. You can still see the consistency of SSD read and write operations. Samsung and Angelbird show the best results here. The ATTO benchmark determines the theoretical maximum performance, which is often advertised by the manufacturers. 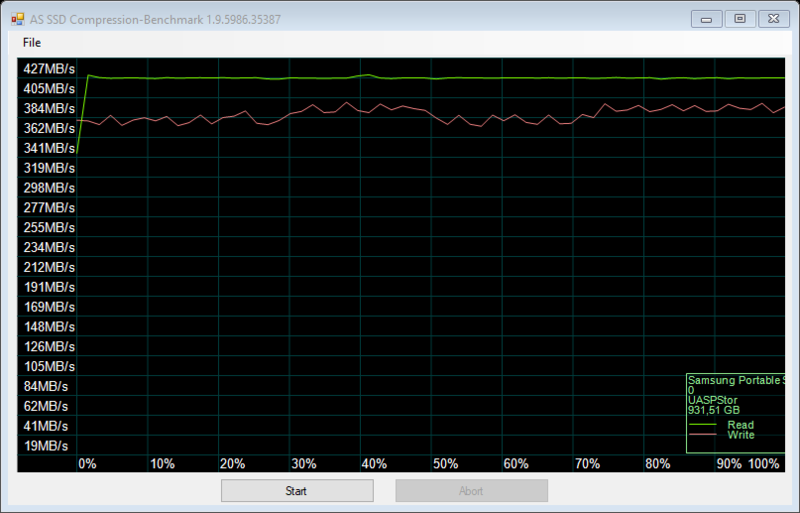 It clearly shows the USB 3.0 limitation of the Samsung T3 as well as the RAID 0 performance of the SanDisk Extreme 900. The SanDisk Extreme 900 is also the fastest drive running on OS X (MacBook Pro 15). 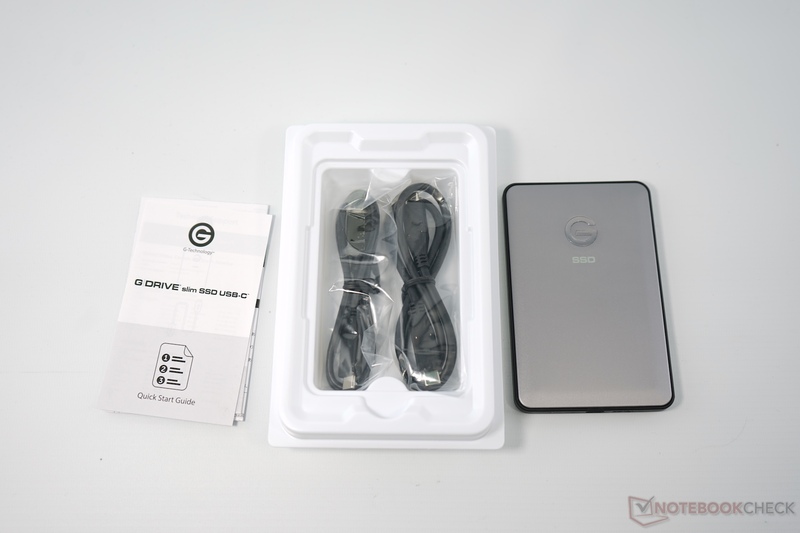 SSD2go and G|Drive are on par. 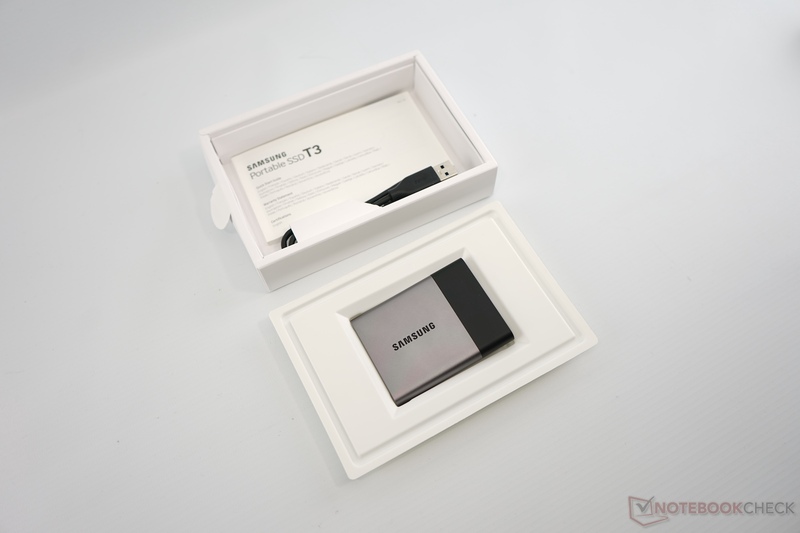 The Samsung T3 – quite interestingly – falls slightly behind. 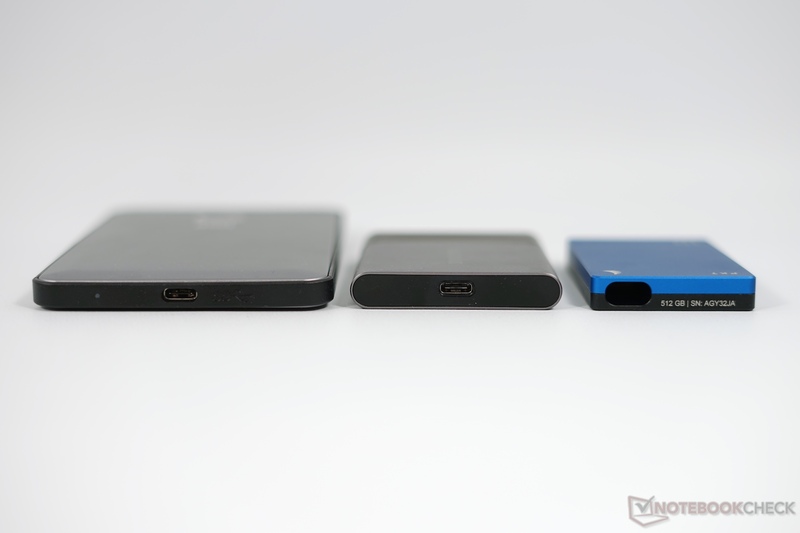 We also tested the external SSDs at a USB 3.0 USB-C port via an Acer Aspire E 15 E5-553G-15FM. The fast SanDisk Extreme 900, for example, loses almost 30 percent of its performance in the AS SSD overall score. However, the result in the ISO copy test of the heavily fluctuating AS SSD copy benchmark is similar. 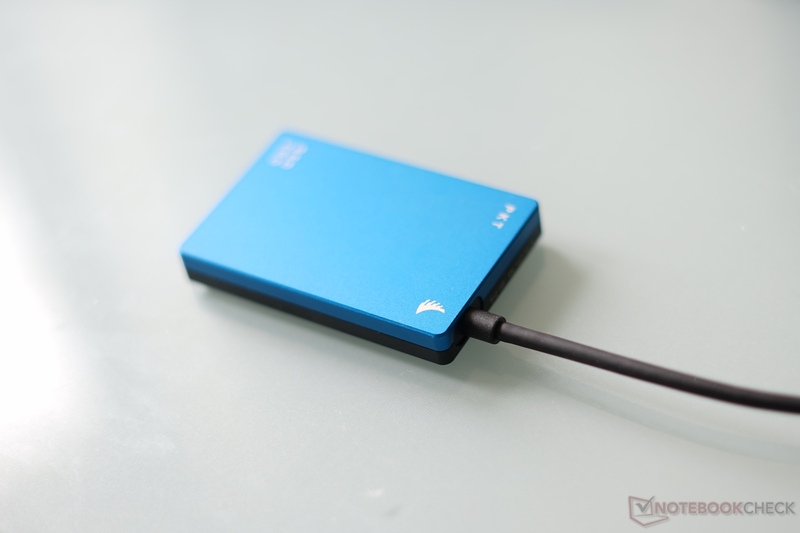 It should therefore depend on the scenario how much performance you lose, but you cannot take advantage of the high sequential transfer rates of the SSD 900. However, the Samsung T3 also loses some performance. The Samsung T3 is clearly the most efficient drive while idling. At just 0.1 watts in Windows and 0.6 watts in OS X, it is clearly ahead of the competition. It is also the only drive where we can see a clear difference between Windows and OS X. The next drive in the ranking is the old ADATA SE720 at 0.9 watts. G|Drive and SSD2go are roughly on par at 1.4-1.5 watts depending on the platform (three tested). The old WD Passport HDD is in the same ballpark at 1.5-1.6 watts, which is also the case for the SanDisk Extreme 900 at 1.6 watts. At the bottom of the list is the DeLock adapter with the Toshiba SSD; this combination consumed between 2-2.1 watts in the test. The old ADATA SE720 is the most efficient drive (1.9-2.3 watts) under load, followed by the Samsung T3 (2.3-2.7 watts). 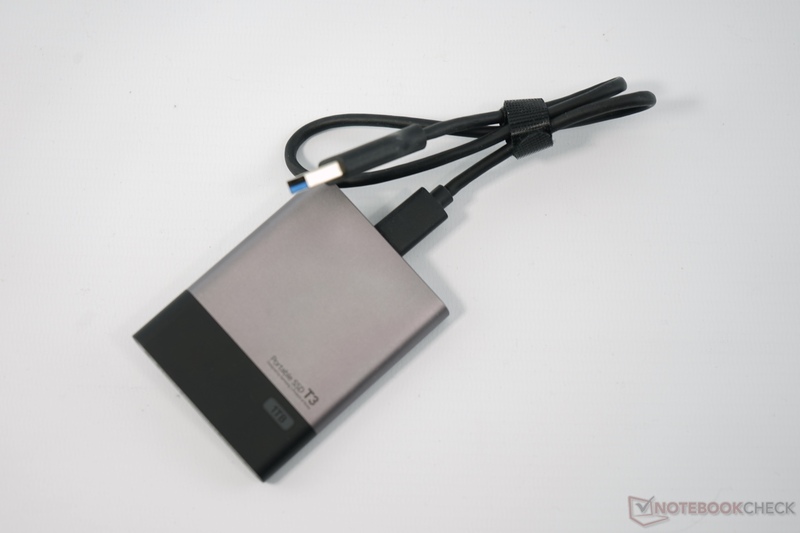 The next drive is the WD Passport at 3.1-3.7 watts. WD G|Drive and the DeLock combination follow at 3.3-4 watts. 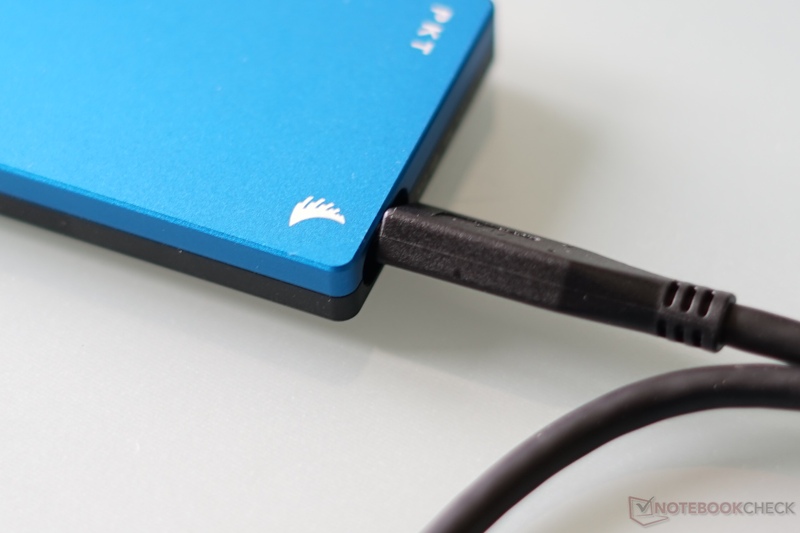 The fast Extreme 900 needs the most amount of power at 3.7-6.3 watts as well as the small SSD2go at 4.4-6.8 watts. However, the load measurements are more of a class indicator, because the values differ quite a lot and the USB-C measurement device from Satechi refreshes the values slowly and does not log them. 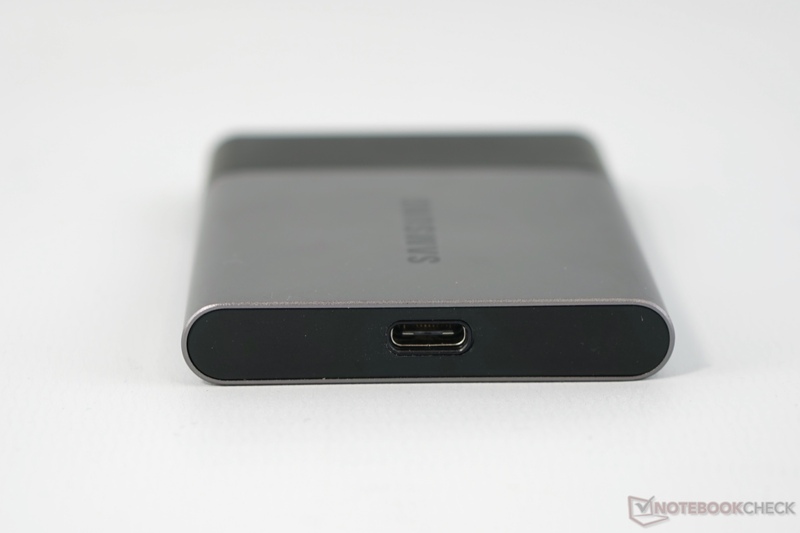 The least expensive way to get 500 GB USB-C storage right now is the Samsung portable SSD T3 500 GB (192 Euros/~$209 at Amazon). The combination of DeLock adapter (40 Euros/~$44 at Amazon) and an inexpensive M.2 SATA SSD like the Crucial MX 300 525 GB (153 Euros/~$167 at Amazon). 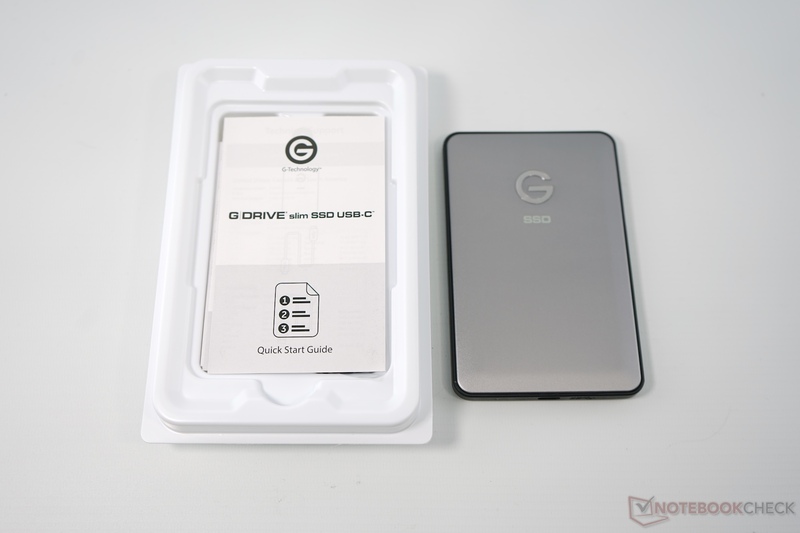 The next SSD is the G-Drive with 500 GB (290 Euros/~$316 at Amazon; price should drop, 245 Euros/~$267 at Apple) or the SanDisk Extreme 900 SSD 480 GB (280 Euros/~$305 at Amazon). The most expensive solution is the Angelbird SSD2go PKT 512 GB (320 Euros/~$349 at Amazon), which is designed for professional users. 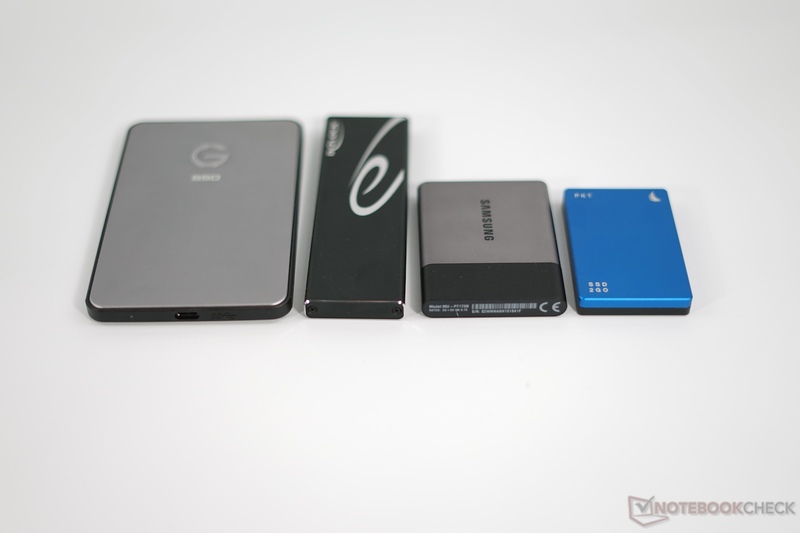 A conventional external hard drive is still the least expensive method. Western Digital's 1 TB Elements Portable, for example, is available for around 54 Euros (~$59) at Amazon. 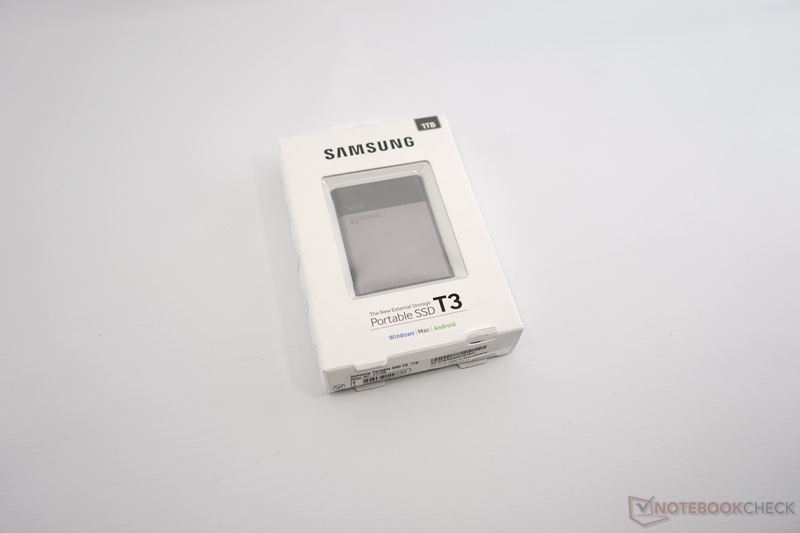 The Samsung T3 SSD wins this comparison, mainly due to the lowest street price. It even beats the combination of DeLock adapter and an inexpensive SSD on Amazon. 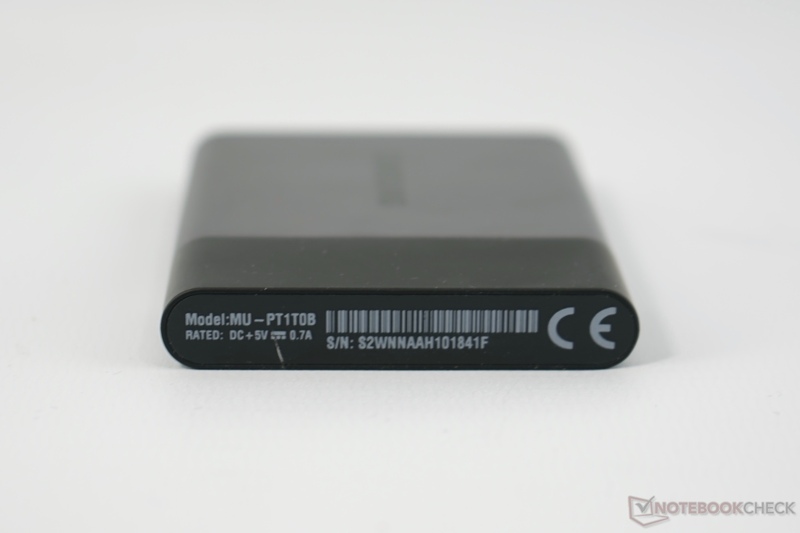 It convinces with low power consumption, small case, and good performance results. 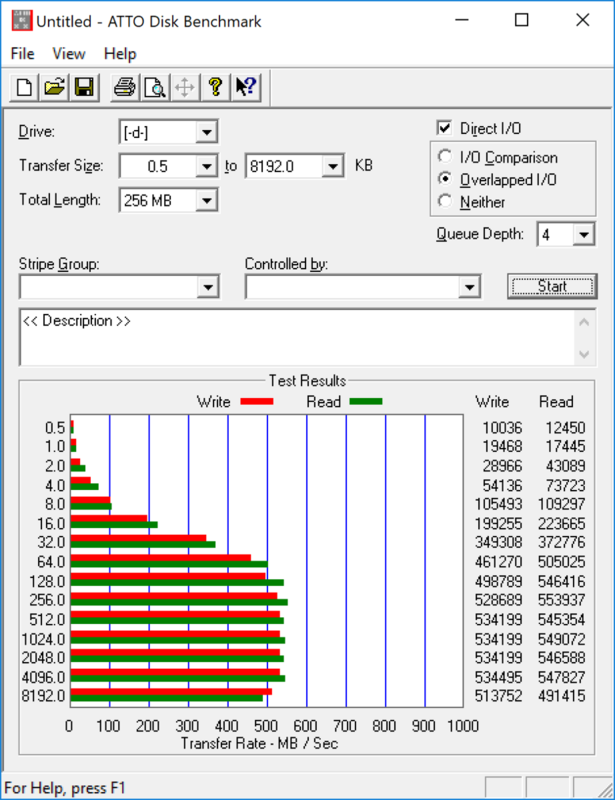 You can hardly notice the limitation to USB 3.1 Gen.1 in the tests. The larger SanDisk Extreme 900 is the fastest drive (except for PCMark 8 Storage). However, the power consumption is comparatively high. 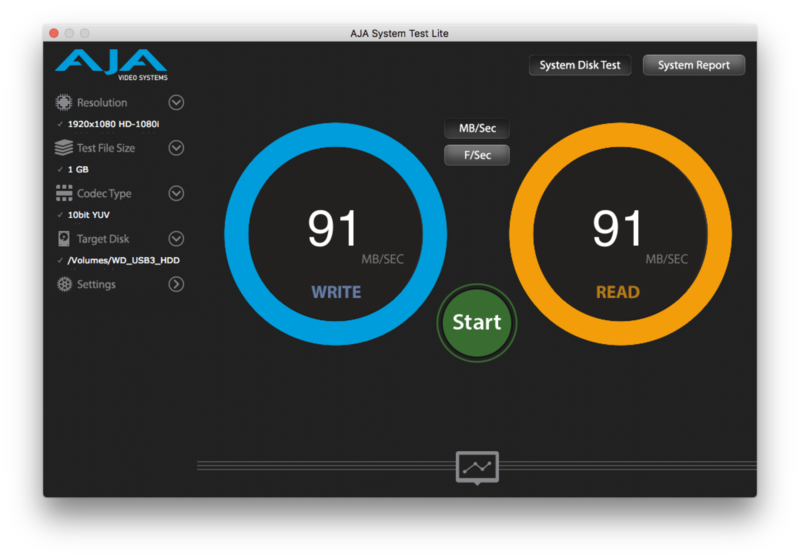 The small and well-designed Angelbird SSD2go scores with excellent AS SSD and PCMark 8 Storage performance as well as TRIM support for both Windows and OS X. The high price and the comparatively high power consumption under load should be considered though. 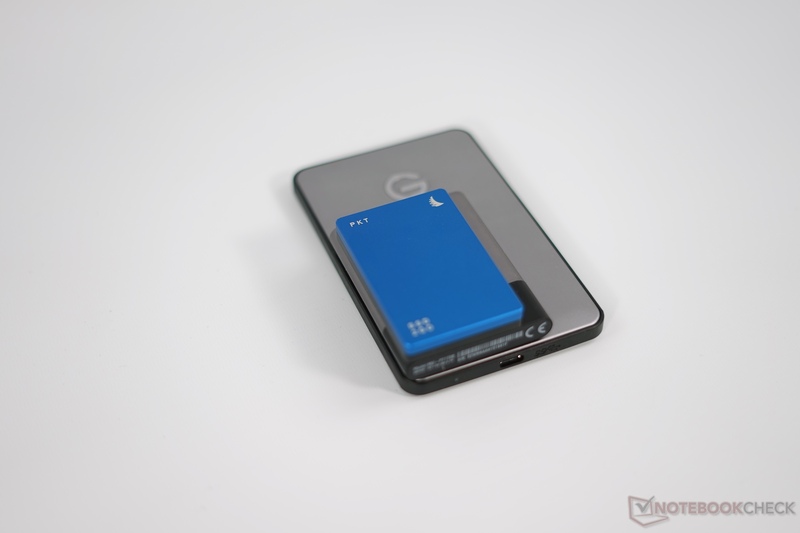 The G|Drive Slim SSD is not easy to get, so the price is still very high. 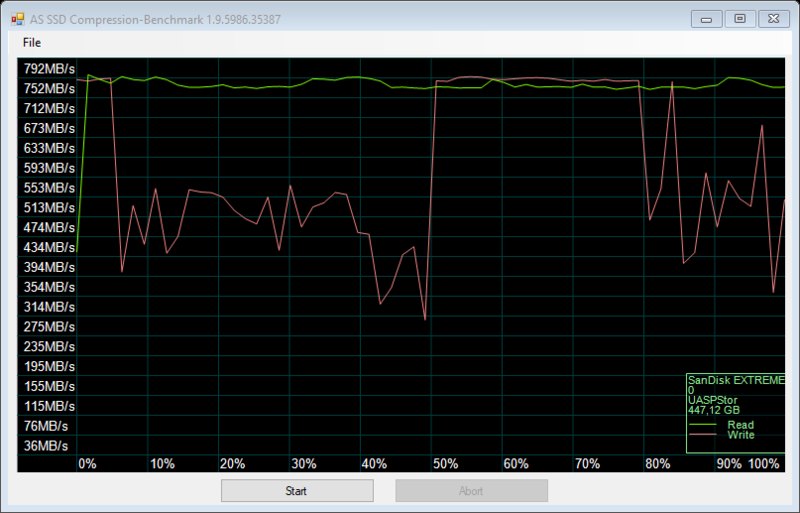 The performance in the copy and synthetic tests is very good, but falls behind in PCMark 8. It would be an interesting alternative when the price drops below the Samsung T3. 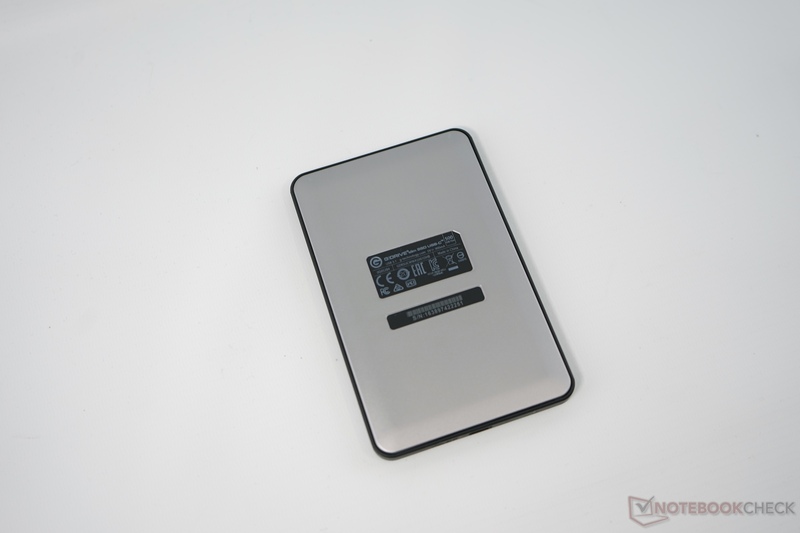 However, you can save a lot of money by purchasing an external hard drive if you just want to back up your files periodically. The low performance is not the only drawback though; you also have to live with the audible operating noise as well as the susceptibility against shocks.